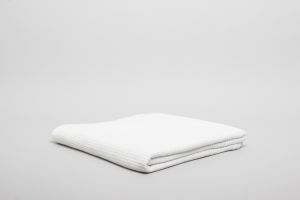 Fibresmart lightweight blankets are quick drying, machine washable, anti pill both sides,clourwashable and are highly durable. These blankets will not shrink easily and will suit any budget. 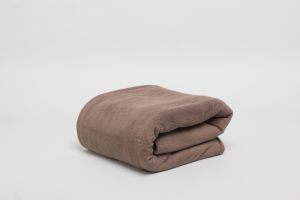 Most importantly they are comfortably warm Stone Brown giving you a beautiful and sound nights sleep. The Fibresmart blanket is the Smarter solution for Healthcare facilities. It has 50% less static build up than traditional cell blankets, a marked reduction in lint generation and has better heat entrapment. Being madefrom inorganic fibres results in a dramatic reduction in the growth of bacteria as well as elimination of odours. 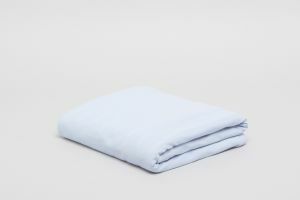 Luxurious Cotton Blanket made from premium quality yarn for softness and durability.